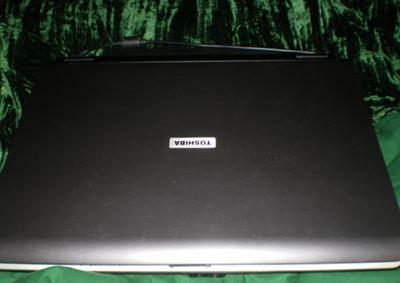 I own a Toshiba Satellite A105-S4034. I've had it for almost 4 years now and it's still in great condition. It's been a great computer. It's sturdy and it is fast. I can run more than one program at once and it doesn’t freeze up like my last computer. I can even surf on the internet while another program is running in the background. This is very convenient. It's even faster than some of the newer computers on the market. Not long ago my parents ordered new laptops from Dell. After a short time they started complaining that theirs were slow and had a lot of bugs. When my mom borrowed mine one day she commented that her computer was not nearly as fast as mine. It has a good amount of storage (100GB) which I like b/c I have a lot of picture and music files. I also like that my laptop has a memory card slot. It makes uploading pictures from my digital camera very easy and quick. I don't have to find the cable to hook up the camera. All I have to do is remove the memory card and insert it into my computer. I also like that it has built in wireless. I can easily connect to the internet in any wi-fi spot. Having 4 USB ports makes it easy to connect many devices. I can hook up a printer along with my ipod and my portable external hard drive all at once. If I ever do have to get a new computer for some reason I will definitely stick with Toshiba. I think it is definitely better than some of the other brands on the market. I have heard users of other brands complain that their computers or slow or that the operating system has a lot of bugs that makes it frustrating. I have had no such problems with my Toshiba Laptop. I love it and wouldn’t trade it for any other. A person who goes abroad for study he get chance to know the culture of the other country. Every country has its own culture. Meanwhile every topic has its own explanation and definition which we describe in our writings. Our best research paper writing help you to write all your paper. I agree with all of Kim's comments about the Toshiba Satellite A105. 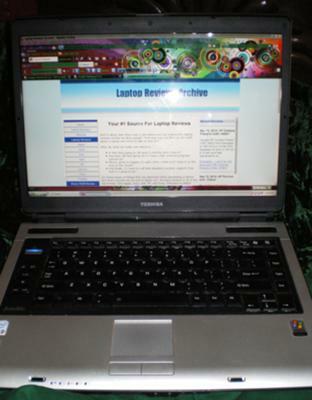 I purchased mine in November of 2005 or maybe of 2006 and I write this today in September of 2011 on my trustworthy Toshiba Satellite. I purchased it at Walmart for around $500 or $600 and I think it was intended for back-to-school college students. Kim is right about it's multi-tasking abilities; in Chrome I can have 20 windows open and run other programs and never have a problem. My daughter has gone through about 5 or 6 'name-brand' computers in this same time period, all with different kinds of problems. I keep telling her I will only purchase a Toshiba for her next computer so that way she will be problem-free. I seriously don't know what I will do one day when my Toshiba can no longer service me. I will always keep it; after all, we've put in daily use with the laptop open all the time, ready to go. I will probably have some art dealer try to shadow-frame it in a picture-box keepsake type frame. It means that much to me. Today I finally had to order a new battery and a new charger. Cosmetically I've worn the metal down to a matte finish where my wrists touch the silver part of the keyboard. I've lost only one key from the keyboard and that's because it was sucked off by my very strong vacuum cleaner. The screen is beautiful and the hinges are still nice and taut. It's been everywhere with me and I consider it to be "a best friend". 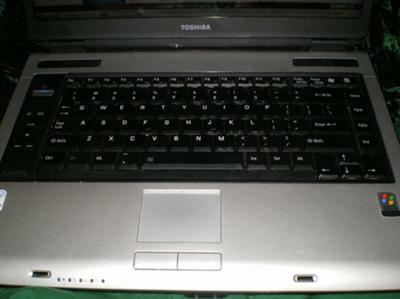 My next laptop will also be a Toshiba; my future in computer purchases will be only Toshiba.